Howard began his career when he was two, appearing in five episodes of The Andy Griffith Show, then starring his older brother Ron. He played Leon, a toddler in a cowboy outfit who wandered around Mayberry and silently offered people a bite of his sandwich, to which they would respond "no, thank you". Other early notable roles include his appearance on The Streets of San Francisco in the episode entitled "The House on Hyde Street", and The Virginian as ... See More Tommy, the proud owner of a new litter of pups in the episode entitled "Melanie". In 1963, he appeared in the ABC medical drama Breaking Point in the role of four-year-old Mikey in the episode "The Gnu, Now Almost Extinct". He also played little Billy Taft, the nephew of Dr. Richard Kimble, in the season one episode of The Fugitive, "The Home is the Hunted" (1964). 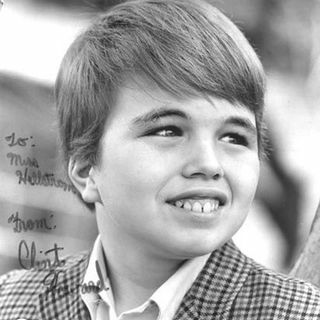 His first prominent role was as a regular on the series Gentle Ben (1967–69). He also starred in an episode of Rod Serling's Night Gallery as Herbie, a ten-year-old boy who predicts the near future, and played Billy in the made-for-TV version of John Steinbeck's The Red Pony, with Henry Fonda and Maureen O'Hara.